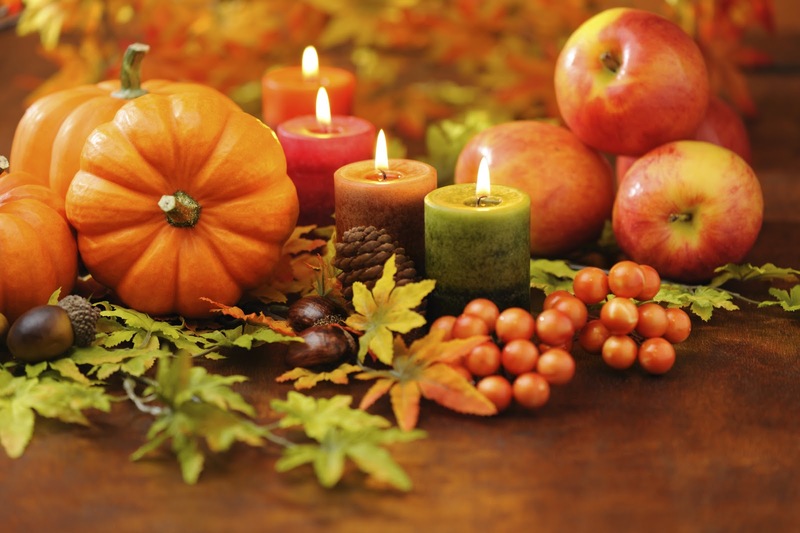 This Monday (October 8th) was Thanksgiving Day in Canada, and in the USA Thanksgiving Day is on Thursday November 22nd. Are you thankful for anything? Or do you consider this as just another day off work? There are many things to be thankful for, and we should be thankful always. but Thanksgiving Day gives us a special reason to stop, think and be thankful. Thanksgiving Day originated, and the first feast was celebrated, in 1621 at the end of the first harvest in the New World. The Pilgrims were thankful for the bountiful harvest that would help them survive the upcoming winter. It became an official holiday in the US in 1863 when it was proclaimed by President Abraham Lincoln. The first Canadian Thanksgiving was celebrated in 1578 when Sir Martin Frobisher celebrated the first harvest in Canada. It wasn’t until 1879 that the holiday was recognized in Canada. What we also need to realize though is that the Indigenous Peoples of North America were celebrating the harvest for many years prior to the arrival of the European settlers, so its really difficult to put actual dates on the first celebrations. But origins aside, it is important to be thankful and send thanks to God for what He gives us. Whether that is a bountiful harvest, good health, a new job, a new love, or anything else in our lives, we should be thankful, and not just for one day, or weekend, a year. 2 Corinthians 4:15: For all things are for your sakes, that the abundant grace might through the thanksgiving of many rebound to the glory of God. Jeremiah 30:19 And out of them shall proceed thanksgiving and the voice of them that make merry; and I will multiply them, and they shall not be few; I will also glorify them, and they shall not be small. Nehemiah 12:46: For in the days of David and Asaph of old there were chief of the singers, and songs of praise and thanksgiving to God. Psalm 9:1: I will praise thee, O Lord, with my whole heart; I will shew forth all they marvellous works. There are many more examples in the Bible, both New and Old Testaments that show praise of thanksgiving to God, so the first real thanksgivings occurred many years before the settlers arrived in the New World, and even prior to the Indigenous celebrations that occurred. It almost seems as if Thanksgiving is built into our bodies and minds. So do we spend enough time in thanking God for what he offers us? Probably not! The Apostle Paul in 1 Thessalonians 5:16-18 tells us: Rejoice evermore. Pray without ceasing. In everything give thanks: for this is the will of God in Christ Jesus concerning you. So in numerous places we are told to be thankful and give thanksgiving for everything that we have. Our gifts all come from God, and He likes to be praised and in return you will receive His gifts. And we shouldn’t only be thankful at special times, we need to be thankful for the smallest things also. Think of that as you sit down to your meal of turkey and stuffing with all the fixings, while others around the world are struggling to get by on a meager meal of rice or less. While it may be difficult to comprehend, when people have less they are thankful for what they have. In Luke 21:1-4: And he looked up, and saw the rich man casting their gifts into the treasury. And he saw also a certain poor widow casting in thither two mites. And he said, Of a truth I say unto you, that this poor widow hath cast in more than they all; For all these have of their abundance cast in unto the offerings of God; but she of her penury hath cast in all the living she had. So the widow who had little, cast in most of what she had because she was thankful for her small gifts, while the rich gave a small portion of their riches in expectation of a greater reward. Who do you think was more thankful? God doesn’t measure us by how much we give, he instead rewards us by our faith in what we prepared to sacrifice. Be thankful always, praise Him all the time, and He will reward you in kind. Expect nothing and anything you get is a bonus, but the greatest reward is the good feeling you get from just being thankful.